Due to the questionable economy and rising unemployment rates, the job market is more competitive than ever. Only those who are on the cutting edge get the job that they want. This simply means that in an age where mobility ranks up there with being well prepared for the job search, having the right apps on an iPad are just as important as an impressive resume or the right clothes for the interview. The right apps will help in all aspects of the job search process from creating a resume to searching the right database for the right job and the right salary. 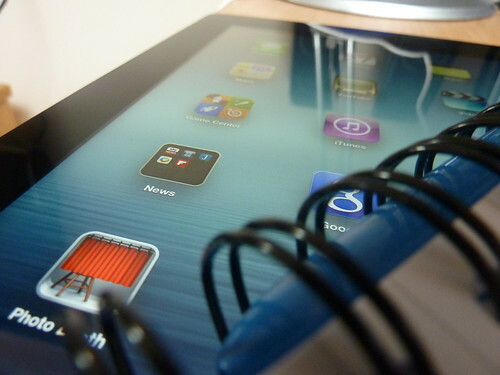 Here are the top three iPad apps that help aid in the job search. Monster.com is one of the leading job search engines on the internet today. They provide an extensive database of jobs and careers nationwide for users to apply for. Now, users of monster can view their profile and search for jobs from the iPad, so now when the searcher is on the go, they can easily look for work without waiting until they get home to look on the computer. In this app, the seeker can upload resumes to their Monster account so they can easily upload to applications on the database. The entire user account also syncs with the main account on a desktop computer so the user can take all of the information with them on the go. The Monster iPad app also has an add-on free of charge that provides tips and tricks throughout the interview process. This is one app that helps job seekers to find the perfect job and to get the perfect job by giving the perfect interview. It also has tips and tricks for stress relief as well so there is no more freaking out due to the stress that can occur before and during a job interview. There are many resume making apps in the App Store but most of them cost anywhere from $1 to $6 and they all do the same thing that this free app does. ResuM8 is a free app where the user simply inputs information like contact information, experience and education and the app automatically creates a resume that stands out above the competition. While the app itself is free, users can add on a database of strengths and objectives for $2.99. Once the resume is complete, the seeker can view the completed document and email it to prospective employers; directly from the app. With CareerBuilder.com, users have enjoyed the ability to search and apply for jobs that fit their qualifications. Today, with the CareerBuilder app for the iPad, users enjoy the same benefits as the website but in a mobile application. The app uses GPS to find jobs that are nearby as well as the basic keyword search. As the user scrolls through the thousands of available jobs, they can apply directly from the app. They can even upload multiple resumes and choose which one should be used for each application. Users can also create custom resumes directly from the app as well, making this the only app that provides two of the key tools in the job search; the online database and a resume builder; all in one application. With all of the features in the CareerBuilder app, most would think it was a paid app but it is offered in the App Store free of charge.